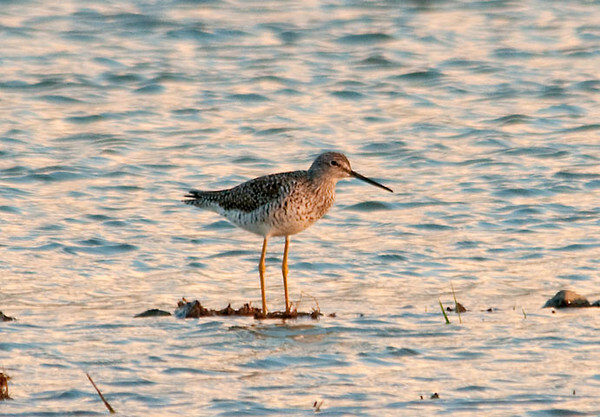 This Greater Yellowlegs is the largest of the North American Sandpipers. He was standing in a wetland area near a Lesser Yellowlegs (see post below of both). They feed by pecking or skimming water with their beak. Sometimes they will dash in pursuit of fish.